RoboLinux is a unique distro that focuses on incorporating Windows versions XP through 10 within a fully functional Linux operating system. You might never need the Stealth VM features that let you easily install and run Microsoft Windows within most any Linux distro. Still, RoboLinux is a topnotch general purpose Linux computing platform that comes with a choice of leading desktop environments. RoboLinux does what other Linux distros can’t. It creates a cloned Drive C from a Windows partition and installs your favorite Windows version with all of your costly Windows software running in a virtual machine. It does this for free under current marketing plans. RoboLinux is also a free download. All currently supported Robolinux OS releases come with free tech support. This combination of benefits makes RoboLinux an ideal platform for enterprises and SOHOs, as well as individual users, to transition to Linux. 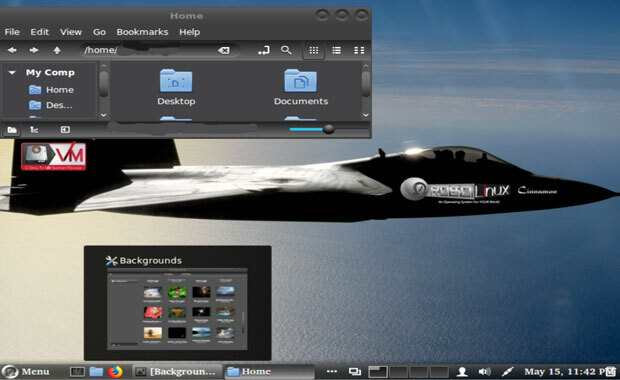 RoboLinux Raptor 9.2.1, released last week, runs the newest iterations of Cinnamon and MATE 3D desktops. Or you can choose from previous editions that include XFCE, GNOME 3, LXDE and KDE. The Cinnamon desktop brings a familiar look and feel to RoboLinux Rapture 9.2.1. The upgraded versions provide Long-Term Support until 2021. They run newer Linux kernels that bring improved speed, more security and better stability. Both of the new Robolinux 9.2 Versions have fixes for the recent x86 and x64 Spectre and Meltdown vulnerabilities. Both new Robolinux 9.2 Raptor versions provide optional UEFI support and have the newest VirtualBox version 5.2.10. I tested and reviewed prior MATE and GNOME editions several years ago. I was impressed with RoboLinux then. I am even more satisfied with RoboLinux now. The premise behind RoboLinux makes this distro a must-try computing platform. For instance, I can hang on to my workbench Windows software without actually keeping separate physical boxes that add to my office clutter. My reacquaintance with RoboLinux via this latest release was a win-win event. My workload rarely requires Microsoft software these days, so I have little need for dedicating and maintaining a Windows computer. I certainly have more fun with Linux. With RoboLinux, I am able to maintain a Windows setup without the hassles of dual booting Windows and Linux. Plus, being able to run all of my Windows stuff in a virtual machine in a separate workspace within my workhorse Linux OS is a huge convenience. The latest RoboLinux release gave me an excuse to test-drive my favorite desktop environment — Cinnamon — in a different distro. My plan was to see how well the Raptor 9.2 series handled. 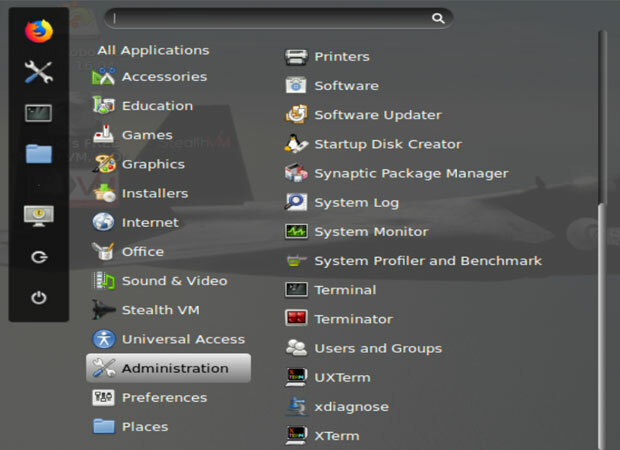 The Cinnamon desktop’s control panel gives users a vast range of options for personalizing the way RoboLinux works. The experience was so successful I decided to upgrade my earlier RoboLinux installation and clone my Windows 10 installation to run in a VM. The added benefit is the opportunity to run a nifty, speedy RoboLinux distro on a different computer while retaining my Cinnamon desktop preference. The developer’s website focuses mostly on the benefits for new Linux users to drag their Windows software to Linux without using the clunky WINE application to run isolated Windows software. However, RoboLinux is a good Linux platform in its own right. Many of the specialized systems applications are devoted to transplanting the Windows OS and software to run in a VM. That is a good incentive for newcomers to switch to Linux. However, do not lose sight of the solid performance you get from RoboLinux. The latest release is stuffed with some of the best applications that Linux has to offer. It easily can be your everyday workhorse computer platform. RoboLinux is based on Debian Linux. A huge selection of Linux packages are readily available using the distro’s own software center interface or the Synaptic Package Manager. Perhaps one of RoboLinux’ best features is the ability to use its Robolinux C: Drive to VM packages and related Windows cloning tools in many different Linux distros. You can download just the tools and use them in your preferred Linux distro instead of RoboLinux. Each of the supported desktop environments comes with a different appearance and feature set. However, each desktop includes a tightly integrated set of RoboLinux tools that clearly differentiate this distro from others in Linuxland. That uniqueness is especially noticeable in the Cinnamon desktop. In any distro that offers the Cinnamon flavoring, one of the best attributes is the ability to configure and personalize nearly every aspect of the display and desktop functionality. For example, RoboLinux has a supply of drivers unmatched elsewhere. The main menu has a separate category for specialized installers. One in particular provides a one-click ability to install a collection of popular Cinnamon apps. Other options let you install specialized security and Internet tools, such as the TOR browser and Steam games access. When you add the additional RoboLinux toolset to the array of controls already available in Cinnamon, you get an unbeatable computing experience. RoboLinux comes with everything a user needs — and then some — to make daily computing tasks convenient. Many of the software packages typically are not found bundled in Linux distros. The built-in optional one-click app installers include C Drive to VM, Tor Browser, Tor Chat, BleachBit, Wireshark, I2P, Clam AntiVirus and Steam. The high level of support exceeds what most other Linux distros offer. RoboLinux goes well beyond passive community boards to solve user issues. I sent a direct message to RoboLinux tech support using the website’s contact us messaging center. In less than two hours, I had a detailed response in my in-box. The website is stocked with very useful how-to videos and other instructions for installing RoboLinux and using its collection of specialized system tools. The fact that the developer provides all of this for free is reason enough to check out this distro. The only drawback for me was the developer’s heavy-handed manner of pleading for support. On the other hand, I get that the open source model poses a financial challenge. Giving away Stealth VM components for free now, rather than charging nominal and very reasonable prices, clearly is a survival risk. So, consider the developer’s request to take a few seconds to click on the sponsors’ ads while browsing the website. Also try not to be put off by the impression that you have to make a donation to download the free Linux OS. Just scroll through the download page to find the free download link. RoboLinux will impress both newcomers and seasoned Linux users. The Cinnamon desktop edition is an excellent starting point with its simple yet powerful user interface. Installation is quick and simple.